Ted Cruz: "I Thought That Popularity Was the Holy Grail"
In his new memoir — and in an interview with the Tribune — U.S. Sen. Ted Cruz talks about how his "cocky" nature has tripped him up in the past, and what he learned from getting passed over for a senior spot in George W. Bush's administration. NEW YORK CITY – By his own telling, it’s been a lifelong struggle for U.S. Sen. Ted Cruz to rein in his self-described “cocky” nature. In adolescence, young adulthood, and now as a junior senator running for the presidency, he has rubbed people the wrong way – and he is self-aware about it. “When I was in junior high and a geek, I thought that popularity was the Holy Grail,” Cruz said in a New York City interview with The Texas Tribune about his new memoir, A Time for Truth. Cruz's youthful efforts to fit in, according to his memoir, included changing his first name from from “Felito” to “Ted” and signing up for sports teams. It also meant downplaying his intellect by tucking his ace grades away from other kids' sight. He had a relatively charmed trajectory through the Ivy Leagues to a U.S. Supreme Court clerkship and onto George W. Bush’s 2000 presidential campaign. He was high enough in the food chain as a policy aide at the campaign's Congress Avenue headquarters to earn a Bush nickname, “Theodore,” a term of endearment for his serious nature. And as a litigating attorney, Cruz played an integral role during the 2000 Florida recount. He described being devastated when that did not come to pass. In the book, he blamed it on being "far too cocky" on the campaign, and burning "a fair number of bridges" by interjecting his opinions — to the chagrin of campaign elders. 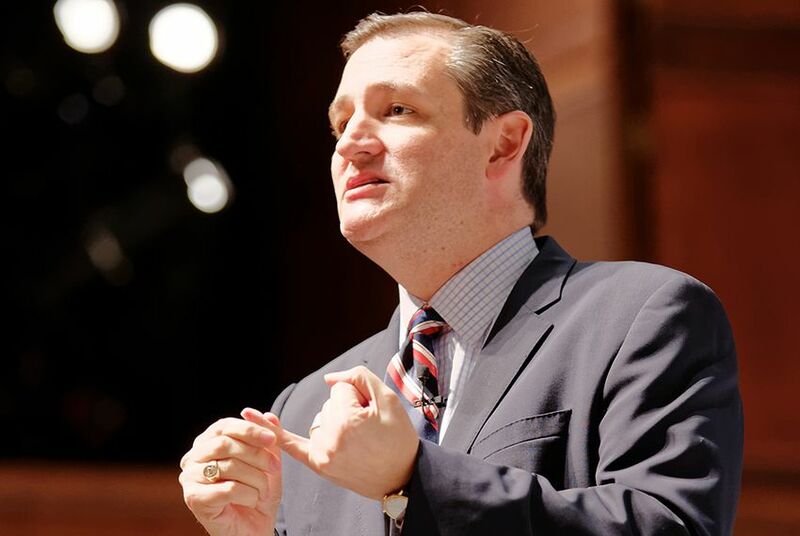 In many ways, Cruz finds himself in a similarly rocky situation in the U.S. Senate. At least 16 times in his book’s first 19 pages, he writes of his party’s Senate leadership in less than flattering terms. Among their perceived transgressions: surrendering to the Democrats, risk aversion, “chicanery” and caving in to President Obama. This isn't just in Cruz's book; in recent weeks, he's added "Washington cartel" terminology to his campaign messaging, and appears to be running as much against his own party as the Democrats. In the Monday interview, Cruz described himself more as the recipient of fire from Senate leaders than as the one lobbing the bombs. But his criticism of “GOP leadership” hits close to home. The Senate’s second-ranking Republican is Cruz’s fellow Texas senator, Majority Whip John Cornyn. Still, he didn’t exactly let Cornyn off the hook.